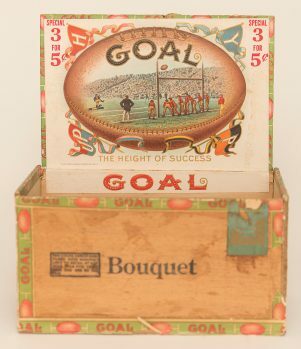 Goal Cigar Box with Goal Football logo on outside and beautiful litho label on the inside showing scene of a football game. 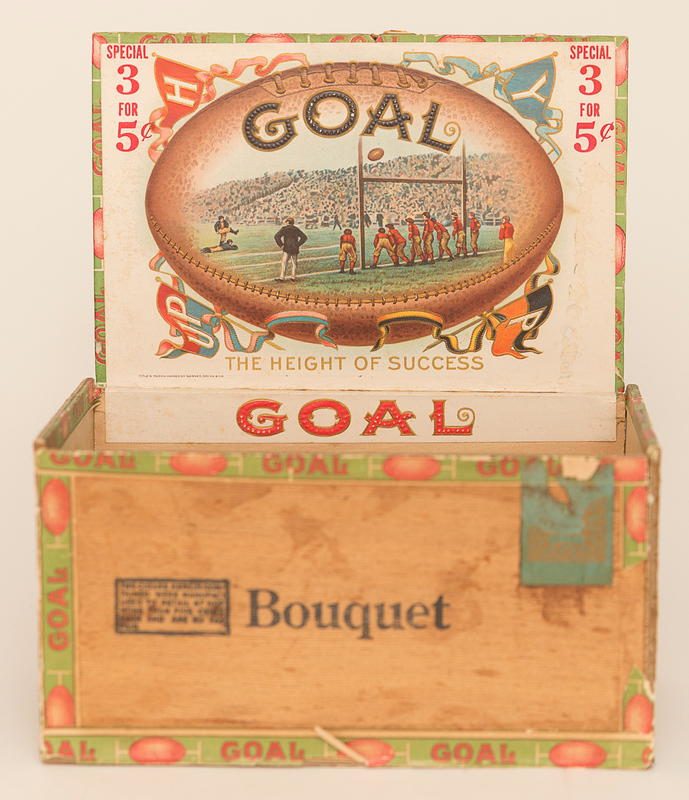 Box and labels are in wonderful condition with bright and sharp colors. Size: 8" x 5" x 4.5"